Album Review: Empath by Devin Townsend! 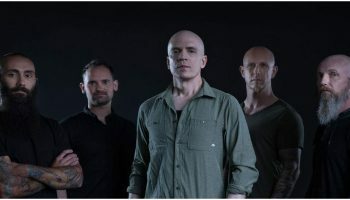 – Spotlight Report "The Best Entertainment Website in Oz"
Devin Townsend is one of the most evocative and interesting minds of the music business, creating records with such versatility and intricate melodic layers that evokes a different understanding to what music really can be. After the end of The Devin Townsend Project last year; fans were eager and anticipating what Devvy was going to give us next, with this being his first solo album since 2014 release Z2: Dark Matters. 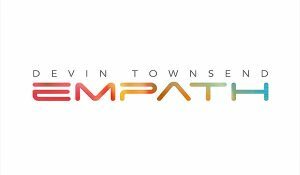 After months of teasers and parts of the album documentary being posted online creating hype and insight into the actualisation of what this record was to be, and to what the next stage for Devin will be, last Friday Empath was finally graced to us. There is so much compacted into this record, it’s not just an album that you can process in one listening, it’s intense but almost tranquil at the same time. Empath delves into the chaotic, epic mind of Devin Townsend. This album is honestly just pure hevydevy but enhanced into the next step of his journey. You have all those classic aspects of big walls of sound, heavy drums, intense vocals mixed with a sweet orchestra, electro vibes and spoken word. References through songs to Devin’s past catalogue is strongly accented like little Easter eggs for those long standing fans. 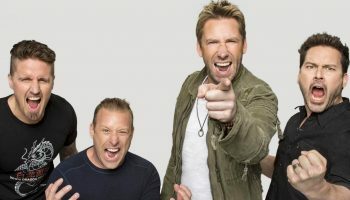 With as diverse a discography that Devin has, he has been able to utilise the talents of other musicians and this record was no exception, with returning appearances from Anneke van Giersbergen, long-time collaborator and friend Steve Vai and Nickleback’s Chad Kroeger – which created an interesting talking point between fans. Every song has its own life and narrative. Every song seemed to create a different place and through a different story evoking subconscious memories for many listeners. From the first track Castaway taking us to a faraway island with serene beached and ocean sounds and an ambient choir, to Genesis which is just a punch in the face of metal and it’s awesome! Why? which is almost a musical theatrical track taking us to enchanted forests full of magic and wonder with an underside of evil on the horizon, to Borderlands with reggae grooves and timpani’s , to the final track Singularity which feels like Devin Metal 2.0. One track that did especially stand out for me was Evermore. Just like the cute space cat in the accompanying video, this song had us bopping our head to the hard fast paced beat. Evermore does really take us on a complete music journey, with choirs, intricate rhythms to an extreme metal scream fest towards the end of the track which is just phenomenal. I can just see this becoming a fast set list favourite. This album gave us empathy, not only for Devin, not only for the personal catharsis from the tracks, but for each other. On many fan pages where a lot of supporters stand hard to defend and argue different reviews and opinions of other music enthusiasts, all that has come from the Devhead community has been respect. That’s how it should be. If you are searching for something, if you are feeling lost, I strongly recommend listening to Empath as it may make you delve far back into the subconscious that you might find an answer.